For many venture capitalists seeking investment opportunities, businesses that offer frequent returns on a revenue stream will often be the most attractive. This is because a predictable and recurring stream of revenue will result in a higher return on the lifetime value of customers, while also affording optimal leverage on aspects like initial marketing costs. While some may believe the more lucrative a business model the better the investment capacity, this isn't always the case. To fully understand just how large a role a recurring revenue stream can play in future investments, one must take a closer look at how business type can affect revenue predictability. High-end travel businesses aiming at a wealthier market have the capacity to earn quite a bit of money selling vacations. While a single trip may cost upwards of $5,000, customer acquisition could amount to as much as $1,000 per customer, which can diminish quite a bit of the gross margin. Because a substantial vacation is not likely to be a frequently purchased item, repeat sales are not as reliable. The relatively small buyer base can also have an impact on investor confidence, thereby resulting in a less attractive opportunity. Conversely, a business offering mobile phone service to consumers will incur far less profit per sale, but offer a more reliable recurring revenue model. Not only will customer acquisition be much lower than in the previous example, mobile phone service also appeals to a much larger customer-base. This business is also less likely to be affected by a waning economy, which will greatly decrease the likelihood of exorbitant vacation purchases during times of economic instability. Customer retention is also greater, assuming customers will choose to stay with their current service provider over a period of time. The above illustrates just how important revenue predictability is to increasing investor confidence and securing the capital a business needs to thrive. While it would seem that the more profitable business model would offer a greater opportunity for future earning, this isn't always the case. A business offering luxury goods and services is less likely to induce repeat sales due to the relative expense of the items offered. Most investors are more concerned with the long-term earning ability of a business, and unstable revenue streams often can't be sustained as long as more realistic pursuits. In this event, subscription-based business models offer the highest level of revenue predictability. Contracts are a great way to ensure your revenue stream remains profitable, especially when providing consumers those items that are considered necessary to daily life. An expanded customer-base is also important for investors seeking a stable business model, and this simply isn't afforded by luxury businesses catering the needs of the exceedingly wealthy. An influx of capital is crucial to get a business up and running, and securing investors is the typical method for providing a new business those must-have resources. Establishing a business model that affords a reliable revenue stream can help win investor confidence by increasing the likelihood of customer retention. Companies like ServiceSource can help provide help and consulting on managing the business lifecycle and creating a viable recurring revenue model. The first step to gaining control of your finances is to make a written budget. Using a spreadsheet or good old-fashion pencil and paper, list your monthly income and subtract out your monthly expenses. Hopefully, you have a surplus to work with. We will address later what to do with that surplus. If your expenses are greater than your income you must find ways to either reduce your expenses or increase your income. Typical areas of overspending include dining out, groceries, and lifestyle luxuries that simply aren’t needed. If you are trying to get out of debt, this is not the time to take expensive vacations or go on unnecessary shopping trips. Other potential cost cutting areas are home and auto insurance, cell phone service, and cable television. If you haven’t obtained quotes on auto and home insurance in recent years, you may be surprised at the cost savings. For cell phone and cable service providers, you may be able to contact their customer service departments and negotiate lower prices. If you cannot cut expenses further, consider whether you need to earn extra income by working overtime, taking on some freelance work, or selling some of your possessions. After making your budget, develop a strategy for reducing your debt. List all of your debts from smallest to largest. Check your list against your credit bureau report to ensure you don't have any old outstanding debts you forgot. It's also a good idea to check to ensure you don't have accounts on your report that are the result of fraud. Looking at your list of debts, plan to pay the minimum payment on all except the smallest. Apply all of your surplus to this smallest debt. Once it is paid off, then apply everything to your second debt. While it can seem counterintuitive to not pay down the higher interest rate debt first, this method allows you to make quick progress. When you see items getting paid in full, this will give you momentum to continue your plan to get out of debt. 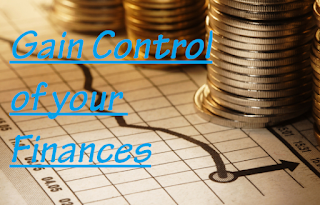 To really gain control of your finances you must monitor your actual spending. On at least a monthly basis, compare your actual spending to your budget. If you find you routinely go over in certain categories, consider whether you need to tighten spending in this area or if you perhaps under-budgeted. Make adjustments accordingly. Building up an emergency fund will be the key in avoiding going back into debt. It is recommended you have at least three to six months’ worth of household expenses in savings. In the event the air conditioner goes out or the car needs an expensive repair, you will not need to rely on a credit card. Once all of your debt is paid off, you can focus your efforts on saving for retirement, your children’s college education, investing, or other savings goals. You can begin to build wealth for the future to help ensure you are secure during your retirement and build a legacy for the future. To help in retirement Roth IRA helps individuals to contribute funds that are not tax deductible. 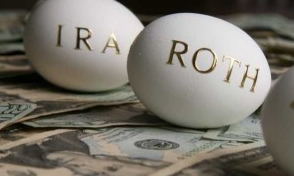 Selecting Best Roth IRA providers is a very important decision. Roth IRA's are seen as important saving vehicle for your retirement. It is an effective way of saving for your retirement. You can contribute to a Roth IRA from the money earned from a Job. Compare the Best Roth Ira providers or companies for your Roth IRA. When selecting a Roth IRA providers, one has to consider a lot of factors such as trading fees, transaction costs and commissions per equity trade. Here we have highlighted the best Roth Ira providers for you to choose by considering all the factors. 2) Fidelity: The Roth IRA at Fidelity is easy to setup and has a full array of Investment products such as Mutual funds, stocks, ETFs etc. to contribute to. Fidelity has excellent customer service which prevents you from straying to other firms. It has no account fees and charges $7.95 per stock trade. The maximum contribution is $5,500. 3) Vanguard: Vanguard has been the most trusted Roth IRA provider for many years. The Minimum contribution is $3,000 for any of the funds you choose. You can get a lower fees and top notch customer service from Vanguard. 4) ShareBuilder: ShareBuilder is considered as one of the best Roth Ira providers for a lot of reasons; automatic investing feature with cheap or zero cost trades, no account opening fees. . It has a low minimum to get started. The minimum contribution is $250 and charges $6.95 per stock trade. 5) Charles Schwab: It is one of the very best Roth IRA providers and is trusted in investment circles. It has advanced trading platforms, retirement planning tools and resources to understand IRA’s. It has zero service fees, the minimum contribution to start an account is $1000 and it charges $8.95 per equity trade. 6) E*Trade: E*Trade is a well-known name and it features one of the best Roth IRA providers options available. The trading screen of E*Trade is very friendly and has a very clear portfolio view with plenty of tools to facilitate portfolio management. It has zero setup fees, zero annual fees and charges none for IRA termination fees. The minimum contribution to start an account is $500 and it charges $9.99 per equity trade. 7) Trade King: Trade King is one of the Best Roth Ira providers that have taken the market by storm. It is preferred by many Investors over the other Roth Ira Account providers. It doesn’t charge any account opening fees or annual fees, but it charges for account inactivity. It also charges $50 for termination or for transferring the IRA. The minimum contribution to start an account is $600 and charges a very low commission fee of $4.95 per stock trade. 8) Scottrade: Scottrade is a serious contender to be one of the best Roth Ira providers. It doesn’t charge any account maintenance fees or any fees for account termination. The minimum contribution to start an account is $500 and charges $7 per equity trade. The Best Roth IRA Providers or brokerage companies were chosen depending on the various factors and this list will help you to choose the best brokerage to open your ROTH IRA. Penny Stock Investing Basics- When it comes to investing in the stock market it is always smart to do your research before you purchase anything. By taking the time to learn what types of stocks there are available, what type of investment is going to be right for you, and where to get started you can greatly increase your chances for success. 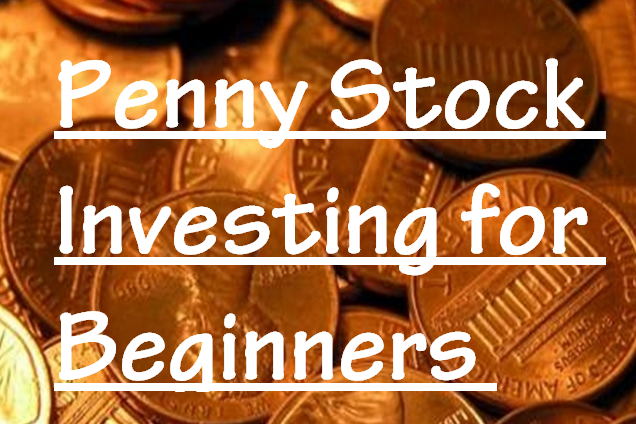 A very common beginner stock so to speak is the penny stock. Though the name seems somewhat self-explanatory, it is not exactly what it might seem. A penny stock, or micro-cap stock as it may also be referred, is any stock that costs less than $5 per stock. In order for a stock to be considered a micro-cap it must have a cap on market capitalization of $50-$300 million. Though others may consider stocks that are $3 or less or even $1 or less a penny stock, $5 USD is a good cut off point for understanding this principle. In general, any stock that is being traded on pink sheets or over the counter bulletin board (OCTBB) methods is going to be considered a penny stock. Penny stocks are a great way to invest a little bit of money without using up your entire portfolio but there are some characteristics of these stocks that make them a bit risky for the inexperienced investor. For starters, these stocks are coming from companies that generally do not have much information for the public. Since these companies are trading on the pink sheets, they are not required to file with the Securities and Exchange Commission (SEC) which means that they do not have to release information to the public. Those that are traded on the New York Stock Exchange or the NASDAQ however are required to release a great deal of information to the public so you are going to have a much better idea of how these companies operate and spend their money than you would with penny stocks. Secondly, there are no minimum standards for these companies. This means that they may not be up to the high standards of larger exchanges and that is why they have moved to the pink sheets. Timely document filing is not required and that may cause issue for some investors that use these standards as a safety net of sorts. Still another issue is that many of these companies that are trading in penny stocks are going to be very new companies which means there is going to be little trading history to go on. You may have information for a very limited window of time but you are not likely to have a great deal of information at hand. Lastly, these stocks have a very low liquidity level which means they may be difficult to liquidate and sell. These low levels can also give traders a chance to manipulate prices which is ultimately bad for investors. When you are thinking about investing in penny stocks, take your time to find out as much as you can about the company you want to invest in before you jump. How to Invest Safely in Penny Stocks? The best way to invest in penny stocks safely is to find a trader that is experienced and that can help you decide what is going to work for you and what is going to work best. These traders will help you to invest your money wisely and will help collect the information you need to make smart decisions when it comes to investing your money. Though penny stocks can be very dangerous if not handled properly, they can also be very lucrative when you have a smart trader on your side that can help you properly invest. Though penny stocks are very risky, the payoff is also very impressive. Since penny stocks have a high volatility one needs to give more time doing due diligence finding right stock to make money off them. Also one should have a clear understanding between blue chip and penny stocks.